We get it: Multispeed (or variable-speed) pumps are more expensive than sing-speed pumps, and nobody wants to spend more money on one purchase when there’s a cheaper alternative that seems to do the job just fine. Right? It sounds like we’re trying to upsell you unnecessarily. Here’s the thing, though: The money you invest in a multi-speed pump today adds up to far less than what a single-speed pump will cost you in the long run. It’s not a luxury; it’s just math. A single-speed pump runs at a high RPM, necessitating more energy expenditure. Any time the pump is running, you’re getting maximum flow but also spending maximum energy—there’s no way to turn it down. It’s either running or it isn’t; you get maximum flow or nothing at all. A multispeed pump gives you the option of lessening your RPMs and thereby reducing your energy expenditure while still keeping the water moving. All pools aren’t the same, so there’s no need to use maximum power in every pool in every situation. But that’s not the end of the story, because a lower RPM doesn’t directly correlate to the decrease in water flow. In some cases, you can cut your RPMs to, say, 25% and still maintain nearly 50% of your maximum flow. Your pool stays healthier around the clock, and you’re still using less energy. If you switch from a single-speed to a multispeed pump today, you will see the difference in next month’s electric bill. And the options don’t end there. We offer and install a range of high-quality multispeed pumps. Talk to your Bahama Blue Pools technician today to see what works best for your pool. We’ll be able to pair you with a multispeed pump that can handle the demands of your pool while still saving you money on energy. In fact, single-speed pool pumps are so inefficient they’re essentially being phased out of the market altogether. 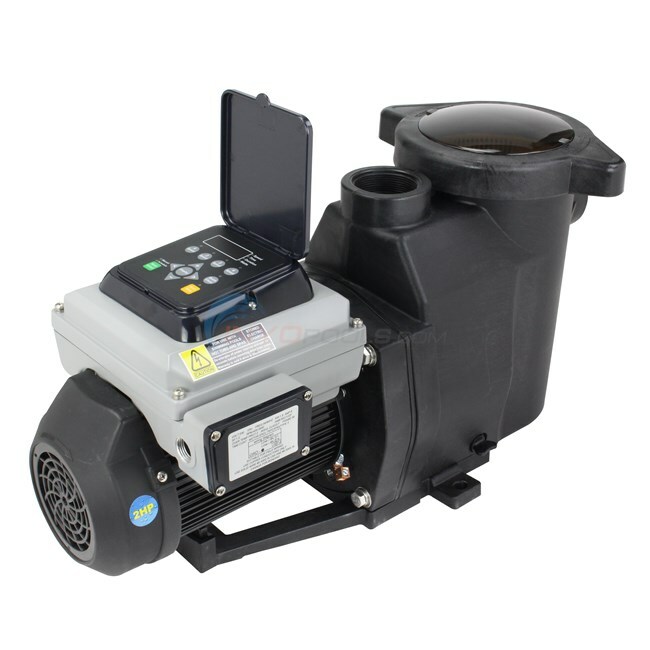 In May of 2017, a new federal regulation was approved requiring a minimum efficiency for pool pumps, and most single-speed pumps today do not meet that requirement. The regulation will fully go into effect in 2021.